To qualify for a Knesset seat, a party or electoral list must win at least 3.25% of the popular vote. Number of Israeli citizens and residents: 8.95 million, including approximately 6.5 million Jews (including approximately 650,000 settlers living illegally in the occupied Palestinian territories) and approximately 1.8 million Palestinian citizens of Israel. Number of Palestinians living under Israeli control who cannot vote in Israeli elections: 4.75 million, including: approximately 320,000 in occupied East Jerusalem, 2.8 million in the occupied West Bank, and 1.8 million in occupied and besieged Gaza. While Israel is nominally a unicameral parliamentary democracy, in reality it would more accurately be called an ethnocracy or apartheid state. Over the country's 71-year history there has been a period of only about seven months (Nov. 1966 - June 1967) that Jewish Israelis did not govern large numbers of indigenous Palestinian Arabs by undemocratic and discriminatory military rule. From 1948 to 1966, Palestinian citizens of Israel were ruled by martial law, similar to how Israel has governed Palestinians in the occupied territories since 1967. Although they can vote, Palestinian citizens of Israel are discriminated against in almost every aspect of life, including land ownership rights, housing, employment, education, health care, and family reunification rights. In July 2019, Israel’s parliament passed the “Jewish nation-state law,” which codifies the superior rights and privileges that Jewish Israelis enjoy over Palestinian and other non-Jewish citizens of the state. Among other things, it declares, the right to “national self-determination in the State of Israel is unique to the Jewish people,” and directs the state to promote “the development of Jewish settlement as a national value,” effectively sanctioning racial segregation. In February, Prime Minister Benjamin Netanyahu orchestrated a political deal to bring the extreme right-wing Jewish Power party, whose members are overtly racist and advocate the ethnic cleansing of Palestinians, into the next government if he heads it. Jewish Power was founded by disciples of the notorious Meir Kahane, whose Kach party was labelled a terrorist organization by the US after one his followers, an Israeli-American settler, massacred 29 Palestinians while they prayed at the Ibrahimi mosque in Hebron in 1994. In February, retired General Benny Gantz announced his new Israel Resilience party had joined forces on a joint electoral list (“Blue and White”) with the center right Yesh Atid party, with the purpose of unseating Netanyahu. The campaign has been marked by a series of racist and inflammatory ads from right-wing parties. Blue and White co-leader Gantz ran an ad bragging about how many Palestinians he killed in Gaza in 2014 during Israel’s devastating military assault. New Right co-leader and outgoing Minister of Justice Ayelet Shaked produced an ad showing her spraying on perfume called "fascism.” A deputy minister of the environment from Netanyahu’s Likud party released a video of himself with an Israeli soldier who was caught on video murdering a wounded and defenseless Palestinian in Hebron in 2016. Former Likud Knesset member Oren Hazan released an ad depicting himself shooting and killing a leader of a political party that represents Palestinian citizens of Israel. In February, Israel’s attorney general announced that he intends to file charges against Netanyahu in three cases involving bribery and fraud allegations. A final decision likely won’t be made for months, but the possibility that Netanyahu could be the first sitting prime minister to be indicted hangs over the campaign. The following guide offers a brief description of the major parties, their policies towards the Palestinians, and some notable candidates. 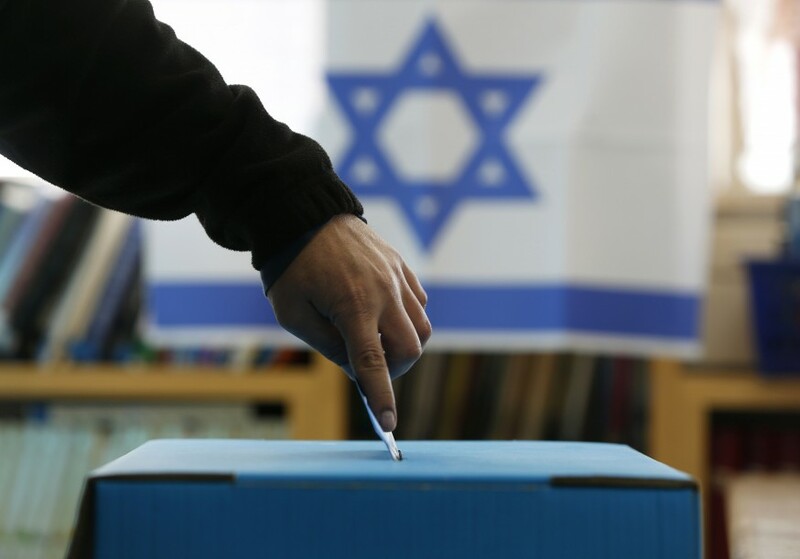 Broadly speaking, the parties and electoral lists can be divided into two categories: Zionist, who support Israel’s system of Jewish privilege, and non-Zionist, who support full equality for all citizens. The latter are comprised mainly of Palestinian citizens of Israel. Formed in the early 1970s as a coalition of right-wing parties, Likud has been the most powerful force in right-wing Israeli politics ever since. Likud opposes the two-state solution, Palestinian statehood, and Palestinian rights in any part of historic Palestine. Strongly supports the construction of illegal Jewish settlements on occupied Palestinian land. Of the 29 Likud parliamentarians running for reelection, 28 have publicly stated they support annexing parts or all of the occupied Palestinian West Bank. Netanyahu has frequently exploited racism and xenophobia for political gain, including during his last two reelection campaigns. In 2015, he warned right-wing Israelis that “Arab voters are coming out in droves.” In 2019, he wrote on social media that “Israel is not a state of all its citizens,” but rather “the nation-state of the Jewish people - and them alone,” and also declared that there are “22 other Arab countries” where Palestinian citizens of Israel can go live. For the 2019 campaign, he orchestrated a deal to bring the fascist Jewish Power party into the next government if he forms it, prompting outrage from critics who compared it to Donald Trump asking white supremacist and former Ku Klux Klan leader David Duke to join his cabinet. In February, Israel’s attorney general recommended Netanyahu be indicted in three cases involving bribery and fraud charges. If Netanyahu manages to win re-election, he will become the longest serving prime minster in Israel’s history this summer. Edelstein advocates annexing at least the 60% of the occupied Palestinian West Bank that falls under direct Israeli control (“Area C”) according the Oslo Accords. Following Trump’s recognition of Israeli sovereignty over the Syrian Golan Heights in March 2019, he welcomed the move as a good first step towards Israeli annexation of the West Bank. In recent years, Regev has been engaging in provocations around the Noble Sanctuary Mosque complex (“Temple Mount” to Jews) in occupied East Jerusalem, threatening to spark a major religious conflagration. In 2014, she formed a Knesset subcommittee to discuss the implementation of a government decision to increase visiting hours for the growing number of messianic Jews who want to visit the Noble Sanctuary, one of the most sensitive holy sites in the world. The ultimate goal of so-called “Temple Mount movement” is to build a Jewish temple on the grounds of the Noble Sanctuary, which requires the destruction of the revered mosques it contains. A former head of Israel’s internal secret police agency, the Shin Bet, Dichter introduced the original version of the “Jewish nation-state law” that was passed by Israel’s parliament in July 2019, formalizing in Israeli law the superior rights and privileges that Jewish Israelis enjoy over Palestinian and other non-Jewish Israeli citizens. Hotovely is a vocal opponent of Palestinian statehood and the two-state solution, as well as the mixing of Arabs and Jews. In 2011, she organized a hearing by the Knesset Committee on the Status of Women on "the problem" of Jewish-Arab interracial relationships. Among those invited to speak was the head of Lehava, a group composed of followers of the notorious Meir Kahane, whose racist Kach party is deemed a terrorist organization by Israel and the US. A few months earlier, Hotovely voiced support for a letter signed by dozens of wives of leading rabbis calling on Jewish women not to fraternize with Arab and other non-Jewish men, reading in part: “Don't date non-Jews, don't work at places that non-Jews frequent, and don't do national service with non-Jews." Jewish Home is a far-right religious nationalist party. Jewish Power is an overtly racist, fascist party comprised of followers of the late Meir Kahane, whose Kach party was banned from Israeli politics in 1988 due to its virulent racism and is considered a terrorist organization by the US. The two parties joined forces on an electoral list at the urging of Likud Prime Minister Netanyahu, part of a deal that will bring them into the next government if he forms it. One of Jewish Power’s leaders and a former member of the Knesset for the Nation Union party, Michael Ben-Ari, was banned by the Supreme Court from running in the 2019 election because of his long history of extreme racism and inciting hatred and violence against Palestinians and left-wing Israelis. Both parties strongly support Israel’s illegal settlement enterprise and oppose Palestinian rights in any part of historic Palestine. Jewish Power advocates the ethnic cleansing of Palestinians from Israel and the occupied territories. Its platform (Hebrew) calls for establishing “a national authority for encouraging emigration” of Palestinians. Jewish Home leader Peretz is a former chief rabbi for the Israeli military. In November 2014, he sparked outrage when he claimed that Jerusalem has no religious significance to Muslims, declaring "Ninety percent of the Arabs don't know a thing about the Koran. I tell you with full authority. We know better than many of them." A notorious racist and extremist, Jewish Home member Smotrich lives in an illegal settlement on occupied Palestinian land in the West Bank. He wants to annex the occupied territories and ethnically cleanse Palestinians. Smotrich supports a shoot to kill policy for Palestinians, including children, who throw stones at their Israeli occupiers. In 2018, he was temporarily banned from Twitter after writing that 16-year-old Palestinian activist Ahed Tamimi “should have gotten a bullet, at least in the knee,” for slapping a heavily armed soldier who invaded her family’s property shortly after her 15-year-old cousin was shot in the face, adding “That would have put her under house arrest for the rest of her life.” In 2015, he claimed that the arson attack by Jewish extremists that killed three members of the Dawabsha family, including an 18-month-old baby, was not an act of terrorism. 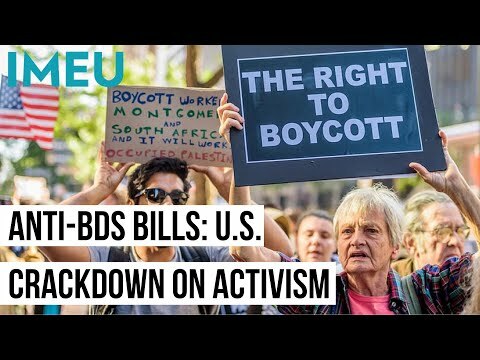 In 2017, Smotrich sponsored a bill to ban individuals who support boycotts related to Israeli human rights abuses from entering Israel and the occupied Palestinian territories. In 2015, during a parliamentary committee meeting, he urged Jews not to mix with Arabs and claimed that God ordered Jews not to sell homes to Arabs, declaring “anyone who wants to protect the Jewish People and opposes mixed marriages is not a racist… I believe in God’s words… I prefer that Jews make a living and wouldn’t sell a house to Arabs.” In 2016, he caused an uproar when he declared that his wife would not share a room with an Arab woman when giving birth at the hospital. Jewish Power member Ben-Gvir is a notorious right-wing extremist and settler who lives illegally in Hebron in the West Bank. A lawyer best known for representing Jews accused of attacking Palestinians and left-wing Israelis, and follower of the late racist Meir Kahane, Ben-Gvir supports the ethnic cleansing of Palestinians. He reportedly has a framed photo of Baruch Goldstein, an Israeli-American settler who massacred 29 Palestinians as they worshipped in Hebron in 1994, hanging in his home. Yesh Atid ("There is a Future") is a center-right party that was a key part of Netanyahu’s coalition government from 2013-2014, when leader Lapid served as minister of finance. Israel Resilience is a center-right party recently formed by retired general Gantz. They joined forces on a joint electoral list, Blue and White, to defeat Netanyahu. If Blue and White forms the next government Gantz will serve as prime minister for two and a half years, after which Lapid will serve as prime minister for one and a half years, according to their agreement. Blue and White co-leader Gantz has declined to commit to the creation of a Palestinian state, while in March 2019 co-leader Lapid declared that under any peace deal the Israeli army must continue to occupy the West Bank. Blue and White also supports keeping large so-called settlement “blocs” built illegally on occupied Palestinian land in the West Bank in place (even expanding them), and rules out the division of Jerusalem so East Jerusalem can become the capital of a Palestinian state. Gantz was chief of staff of the military and responsible for Israel’s devastating attack on Gaza in the summer of 2014. Over the course of 50 days, Israel killed more than 2,100 Palestinians in tiny, besieged Gaza, the vast majority (1,462) civilians, including 551 children, and caused massive destruction to residential areas and civilian infrastructure. The UN and human rights groups documented numerous war crimes carried out by Israeli forces during the assault, including the repeated use of disproportionate and indiscriminate fire in heavily populated areas, and the repeated, deliberate targeting of hospitals, medical personal, and UN facilities, killing scores of civilians seeking refuge. As a hardline defense minister under Netanyahu from 2013 to 2016, retired General Yaalon opposed US-sponsored negotiations with the Palestinians and antagonized senior officials in the Obama administration, accusing Secretary of State John Kerry of having a “misplaced obsession and messianic fervor” for peace in the Middle East, while at the same time overseeing the rapid growth of illegal Jewish-only settlement construction in the occupied Palestinian territories. In 2009, Yaalon canceled a trip to the United Kingdom over concerns he might be arrested for war crimes for the actions of the Israeli military when he was chief of staff (2002-2005) during the Second Intifada (uprising) against Israel’s military rule. In particular, human rights activists wanted Yaalon tried for the bombing of an apartment block in the middle of the night in Gaza, one of the most densely populated places on earth, killing 13 civilians, including eight children. In 2002, then-General Yaalon, stated: "The Palestinian threat harbors cancer-like attributes that have to be severed. There are all kinds of solutions to cancer. Some say it's necessary to amputate organs but at the moment I am applying chemotherapy." In June 2010, Yaalon, then-vice premier and minister of strategic affairs, praised the founder of the Stern Gang (also known as “Lehi”), a Zionist terrorist organization that operated in British Mandate Palestine prior to Israel’s establishment in 1948, declaring: "Israeli students must draw courage and strength from the Lehi founder's ideas so one day they could use them to lead the nation." Lehi’s members carried out a wave of deadly attacks against Palestinian civilians and British targets in the 1940s, including the notorious massacre of approximately 100 Palestinian men, women and children, in the village of Deir Yassin on April 9, 1948, and the assassination of UN peace mediator Count Folke Bernadotte in September 1948. Blue and White co-leader Gantz has declined to commit to the creation of a Palestinian state, while in March 2019 co-leader Lapid declared that under any peace deal the Israeli army must continue to occupy the West Bank. Blue and White also supports keeping large so-called settlement “blocs” built illegally on occupied Palestinian land in the West Bank in place (even expanding them), and rules out the division of Jerusalem so East Jerusalem can become the capital of a Palestinian state. Gantz has also said Blue and White will not sit in a coalition government that includes parties representing Palestinian citizens of Israel. Labor and its precursor dominated Israeli politics for decades after the establishment of the state and initiated Israel’s illegal settlement enterprise in the occupied Palestinian territories but has been on the decline since the 1990s as Israeli society moves rightward. While Labor’s platform includes support for a demilitarized Palestinian “state” as part of a two-state solution, it also states that “this future vision is not attainable” now. Labor also wants Israel to keep large so-called settlement “blocs” built illegally on occupied Palestinian land as part of any peace agreement. Kulanu is a center-right party focused mainly on domestic economic issues. Leader Kahlon is a former member of the Likud party. While party leader Kahlon says he supports the two-state solution in principle, he has also stated that he believes there is no point in negotiating because there is no Palestinian “partner” for peace. Yisrael Beiteinu is a secular, ultranationalist right-wing party founded in 1999 by Lieberman, an immigrant and former nightclub bouncer from Moldova in the former Soviet Union. Espouses hardline, racist policies towards Palestinian citizens of Israel. While in theory Yisrael Beiteinu supports a two-state solution with the Palestinians, as part of any such agreement the party advocates the “transfer” of Palestinian citizens of Israel to the Palestinian state, thereby stripping them of their Israeli citizenship. A former aide to Netanyahu during his first term as prime minister (1996-99), and minister of defense (2016-2018) and foreign affairs (2009-2012, 2013-2015) under Netanyahu. Lieberman lives illegally in a settlement on occupied Palestinian land in the West Bank. He is notorious for his anti-Arab views, frequently threatening Israel’s Palestinian citizens. In the past, he campaigned on slogans like “Only Lieberman understands Arabic” and “No loyalty, no citizenship.” He has also pushed for a law that would force Palestinian citizens of Israel to swear allegiance to Israel as a "Jewish state," thereby formally acquiescing in their own permanent second-class status. Shas is a right-wing ultra-orthodox religious party. Although its late spiritual leader, Rabbi Ovadia Yosef, was a notoriously racist against Palestinians and other non-Jews, at least in theory Shas is willing to accept the creation of a Palestinian state. United Torah Judaism is a coalition of two small, right-wing ultra-orthodox religious parties that was part of Netanyahu’s previous government. United Torah Judaism is focused almost exclusively on domestic social issues and does not have a clear position regarding the Palestinians. Meretz is small, left-wing Zionist party. Meretz supports a two-state solution and the creation of a Palestinian state in the occupied territories. Founded by notorious right-wing extremist and former Likud member Moshe Feiglin in 2015, Zehut is a far-right religious nationalist libertarian party. Zehut’s platform also declares: “A Jewish synagogue will be built on the Mount,” referring to the revered 7th century Noble Sanctuary mosque complex in occupied East Jerusalem, one of the holiest sites in Islam and one of the most sensitive religious sites in the world. Feiglin is a fanatical messianic religious nationalist and former Knesset member from Netanyahu's Likud party. He has said his objective is to establish a theocratic state of Greater Israel, based "exclusively on Jewish identity, values and ethics,” in Israel and the occupied Palestinian territories. Feiglin advocates the ethnic cleansing of Palestinians from all the territories under Israeli control. In 2013, Feiglin announced a plan to pay Palestinians to leave the West Bank. He previously proposed paying Palestinians to leave in 2008. An admirer of the notorious racist Meir Kahane, whose Kach party and its offshoots are labelled terrorist organizations by the US, Feiglin has described Palestinians as "inferior" and "parasites," and wrote of "the Moslem [sic], animal method of living a life of physical lust." Feiglin is a longtime outspoken advocate of building of a Jewish temple on the site of the Noble Sanctuary mosque complex in occupied East Jerusalem. He has repeatedly provoked tensions around the Noble Sanctuary and has been banned from visiting it by Israel’s government to avoid igniting a major religious conflict. In 2008, Feiglin was banned from entering the United Kingdom after the government deemed his entry "would not be conducive to the public good." The Home Office said the decision was based on an assessment that his activities "foment or justify terrorist violence in furtherance of particular beliefs; seek to provoke others to terrorist acts; foment other serious criminal activity or seek to provoke others to serious criminal acts and foster hatred which might lead to inter-community violence in the UK." The New Right is a hardline right-wing party recently established by former Jewish Home Knesset members Bennett, who was leader of Jewish Home, and Shaked. The New Right staunchly supports Israel’s illegal settlement enterprise in the occupied Palestinian territories and opposes Palestinian rights in any part of historic Palestine. Its platform (Hebrew) declares: “The land of Israel is ours. A Palestinian state will not be established.” In February 2019, the party called for the annexation of the 60% of the occupied West Bank that falls under complete and direct Israeli control under the Oslo Accords (Area C). A far-right ultranationalist, Bennett staunchly opposes Palestinian statehood and rights. Although not a settler himself, from 2010 to 2012 he was head of the main political body (Yesha Council) that represents settlers. A former member of Likud, he was Netanyahu’s chief of staff from 2006-2008. As leader of the Jewish Home party (2012-2018), he was a key partner in Netanyahu’s last coalition government, serving as minister of education and minister of diaspora affairs. During the previous government, he was minister of economy and minister of religious services. In October 2018, Bennett said that if he were defense minister he would order a shoot to kill policy against Palestinians attempting to walk across the boundary between Israel and Gaza, where nearly 2 million people have been trapped under a cruel and illegal Israeli siege and naval blockade for more than a decade. He was referring to weekly mass popular protests calling for an end to the siege that began the previous March, known as the Great March of Return. When asked if he would instruct soldiers to kill Palestinian children, Bennett said, “They are not children — they are terrorists. We are fooling ourselves. I see the photos.” At that point, at least 140 demonstrators had been killed by Israeli soldiers, including at least 29 children according to the UN, as well as medical workers and journalists, and more than 29,000 others injured. In 2013, Bennett sparked controversy when it was reported that during a cabinet meeting on releasing Palestinian prisoners he declared: “If we capture terrorists, we need to just kill them… I've already killed a lot of Arabs in my life - and there is no problem with that.” Asked for clarification by journalists, a spokesperson said Bennett meant Israeli soldiers should be ordered to kill Palestinians instead of capturing and imprisoning them. A hardline right-wing ideologue who broke away from Jewish Home with Bennett to form the New Right, Shaked was a member of Likud and Netanyahu’s office director from 2006 to 2008. As justice minister, Shaked has waged a campaign against Israel’s Supreme Court, which she deems too liberal. In the Knesset, Shaked has promoted a slew of discriminatory and repressive laws, including one to formally enshrine Israel as a “Jewish state,” stipulating that only Jews are entitled to self-determination within Israel and the occupied Palestinian territories, and cut foreign funding to NGOs that document Israel’s abuses of Palestinian rights. She has also helped lead a racist campaign against African asylum seekers and migrants by Israeli politicians and others. Words have meanings. This is a war. It is not a war against terror, and not a war against extremists, and not even a war against the Palestinian Authority. These too are forms of avoiding reality. This is a war between two people. Who is the enemy? The Palestinian people. Why? Ask them, they started… What’s so horrifying about understanding that the entire Palestinian people is the enemy? Behind every terrorist stand dozens of men and women, without whom he could not engage in terrorism… They are all enemy combatants, and their blood shall be on all their heads. Now this also includes the mothers of the martyrs, who send them to hell with flowers and kisses. They should follow their sons, nothing would be more just. They should go, as should the physical homes in which they raised the snakes. Otherwise, more little snakes will be raised there. American born and known for her extremist views, Glick is a longtime columnist and editor for the right-wing Jerusalem Post and contributor to the alt-right US website Breitbart. She is a fervent supporter of Israel’s illegal settlement movement and opponent of Palestinian rights. A small extreme right-wing party that was defunct until former Likud Knesset member Hazan revived it during the current campaign. Opposes Palestinian statehood or rights in any part of historic Palestine. A settler living illegally on occupied Palestinian land and former member of Netanyahu’s Likud party, party leader Hazan is known for his extreme, racist views on Palestinians, denying that they even exist as a people. Hadash is a left-wing party that represents Palestinian citizens of Israel and left-wing Jewish Israelis. A smaller left-leaning party, Ta’al (“The Arab Movement for Renewal”) also represents Palestinian citizens of Israel. Both emphasize social justice issues and support equality for all Israeli citizens, regardless of religion or race. Hadash and Ta’al support a complete end to Israel’s military occupation of the Palestinian West Bank, East Jerusalem, and Gaza, and full equality for Palestinian citizens of Israel. A lawyer, Odeh joined the Hadash party at the age of 13 and has been active in politics for more than a decade, first serving on the Haifa Municipal Council as an elected member of Hadash and later as the secretary-general of the party. Veteran leader of the Ta’al party, a physician, and a deputy speaker of the Israeli Knesset, Tibi has served in the Knesset since 1999. Touma-Suleiman was chair of the Committee on Women and Gender Equality, the first Palestinian to do so, and general director of the organization Women Against Violence from 1994-2015. A journalist, she served as editor in chief of the Hadash party newspaper. Hadash member Jabareen introduced a bill to the Knesset in 2018 calling for Israel to guarantee full equality for all of its citizens, regardless of religion or race, which was voted down. He also served as International Affairs Committee chair for the Joint List electoral list in the previous Knesset. Balad and the United Arab List party represent Palestinian citizens of Israel. Both parties support the creation of a Palestinian state in the occupied territories and full equality for Palestinian and other non-Jewish citizens of Israel.